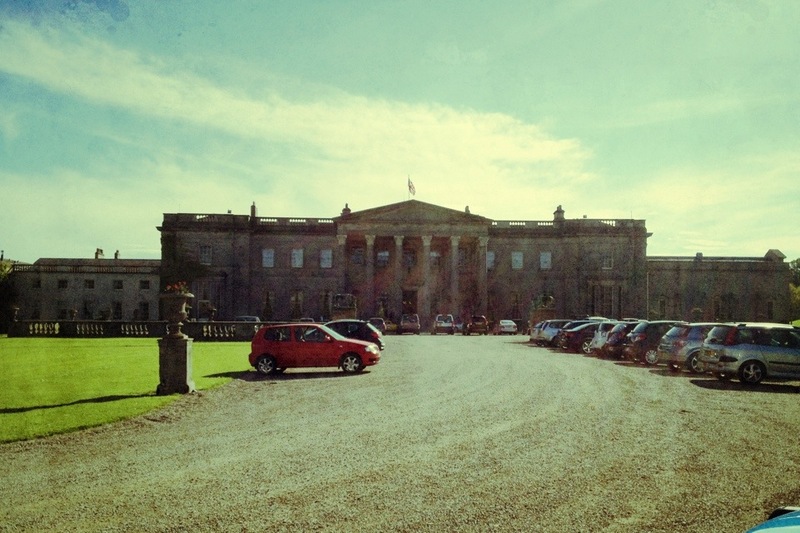 This is Wynyard Hall, a 190-year-old country house in County Durham. I drive quite close by it most days, so thought I’d stop off for a photo today. It was originally built for the Vane-Tempest-Stewart family, perhaps more famous for Mount Stewart, their estate on the shore of Strangford Lough in Northern Ireland. It stands in Wynyard Park, a vast set of gardens including a 15-acre lake. These days, Wynyard Hall has been converted to a four-star hotel hotel, and part of the garden has been given over to an estate of multimillion pound new build houses (or mini-mansions might be a better description!) A state-of-the-art hospital was also due to built in the grounds before the government ripped up the plans in the name of austerity. I’ve only ventured inside Wynyard Hall a couple of times for conferences – one of which included a discussion of contraceptive options which, by a bizarre twist of irony, was held in the chapel. It’s really quite lovely inside. This 1,677th post was filed under: Photo-a-day 2012.